British Columbia fishing licenses are divided into two groups: freshwater (non-tidal) and saltwater (tidal). These licenses are handled quite differently. Freshwater licenses are available online, from a vendor, or from a Service BC. You must purchase a license if you are 16 years of age or over, or a non-resident. License costs are covered here. There are additional regulations governing certain species and certain rivers. Stamps are required in order to fish certain freshwater species. This is covered in detail here, and here. An additional license is also required to fish in rivers listed as classified waters. Saltwater license costs are detailed here. The license is free to those under 16, but it is still required to fish. An additional stamp is required for salmon. Licenses may be purchased from vendors. For information on daily limits and up-to-date changes, check the Fisheries and Oceans Canada website or call (604) 666-2828. For up-to-date information on Vancouver Island fishing hotspots, visit the Sport Fishing Institute of B.C website. For everything you need to know about planning your fishing trip in B.C, visit discoverfishingbc.com. HelloBC – Lists all types of accommodations across BC. BritishColumbia.com – Lists all types of accommodations across BC. SpeedHotels – Hotels by city for BC. BCHotelsMotels.com – Hotels by city for BC. BC Bed and Breakfast – Vancouver Island. Vancouver Island Bed and Breakfast. Bed and Breakfast – Vancouver Island. Discover Camping – BC Parks. 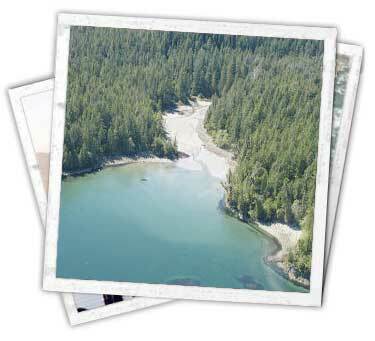 Recreation Sites and Trails (for Greenpoint Reservations near Tofino). Aboriginal Tourism Association of B.C. Alberni Valley – Chamber of Commerce.